In the summer of 2018, we discarded all the old models of holds. 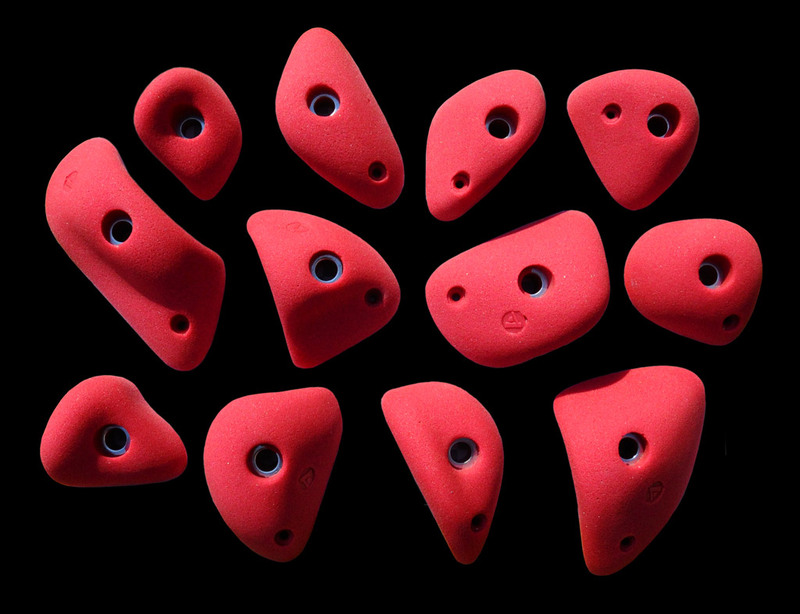 With the new models, we`ve greatly simplified the shape of the hold - the grips are more round, without sharp edges, we`ve eliminated unnecessary "decoration". 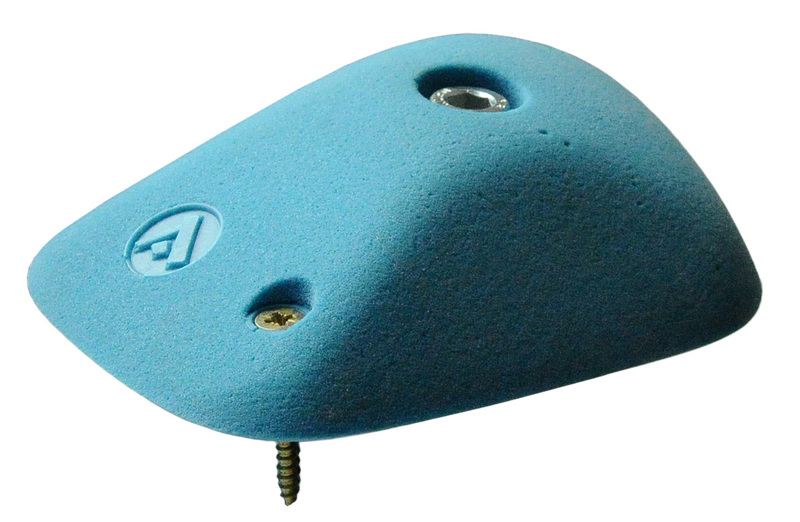 It results in more comfortable climbing, simplifice construction of climbing lines and better use in competitions (the holds have basically only one possibility to hold and are not discriminatory). We`ve also uprgraded the surface - overall it`s a little rough. 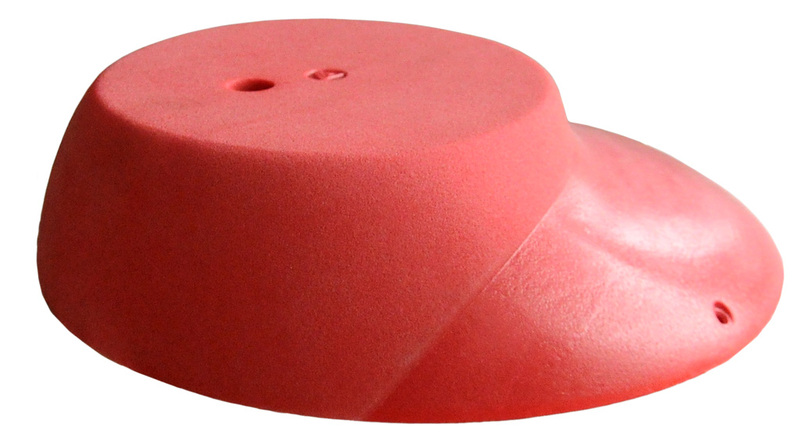 We regulate the surface also within the holds - it is thicker on large rounded parts, softer on the smaller edges. Roughness is often a question of taste, but smoother grabs are definitely worse. There are small changes on anchoring. The anchor holes - the main allen screw exactly fits the hold´s surface, there is no recess that could be helpfull to hold. 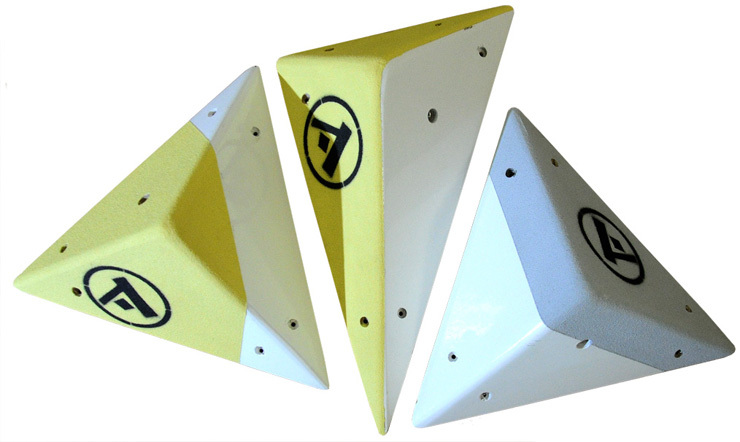 The self-tapping holes are now perpendicular to the climbing wall, not to the surface of the catch (wherever possible). We have also begun experiments with a dual surface - we already have several holds. There are also new sets of "HOlds for Kids" - again simplification, no animals and inappropriate shapes, we tried to respect the anatomy of the child`s hand. The holds are smaller (less expensive) in size, but they are big enough to able kids to hold them. 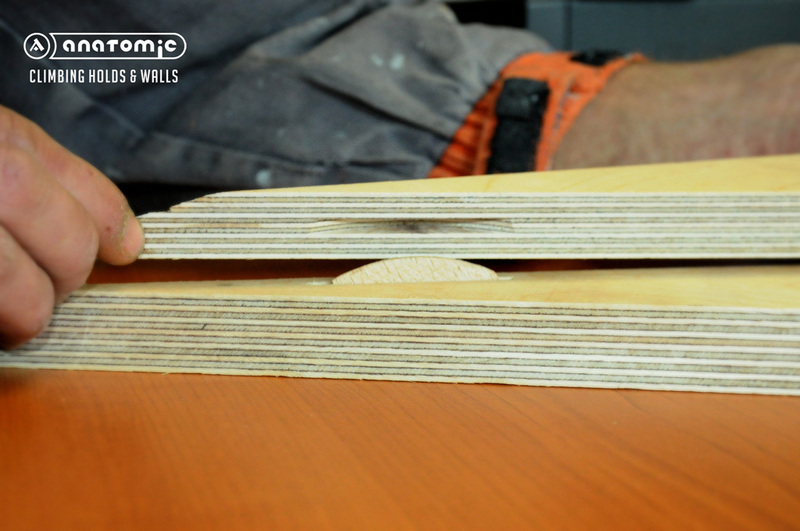 At the same time, we redraw the molding process so we can change them more quickly. 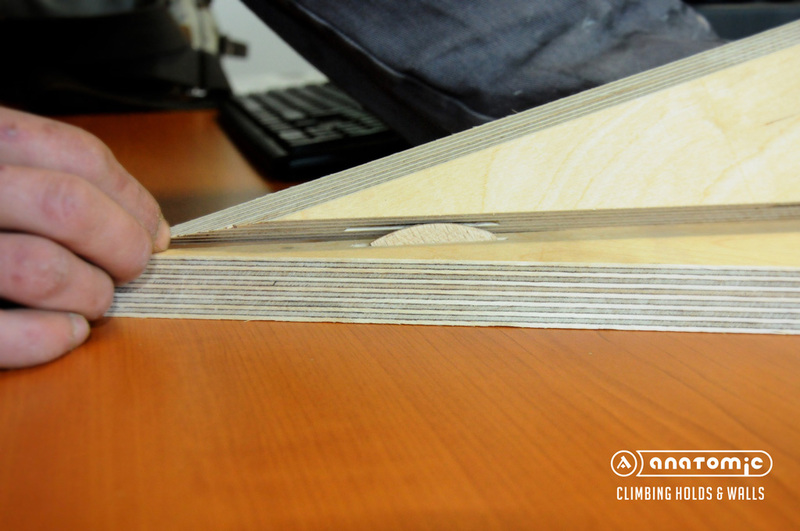 The form lasts only a limited number of cycles, more often the change will positively affect the surface quality. 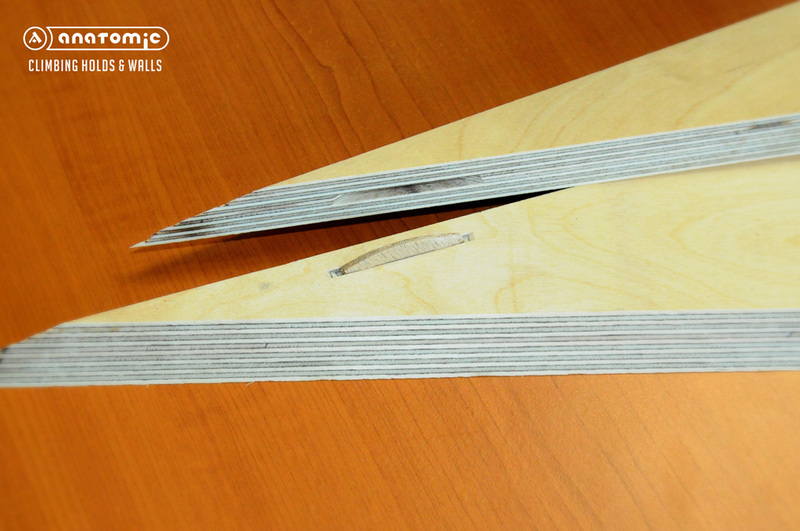 The wooden structures also changed - except for the new shapes, we have modified the technical solution. By adding glued lamellas we have improved the strength of the joints, metal inserts are added to the anchor holes, we use the best quality nuts on the market. After long experiments we tuned the surface treatment and we included dual texture - we made the surface really. Structures also have a coating on the back - increasing their durability and cleaning resistance.